Gov. 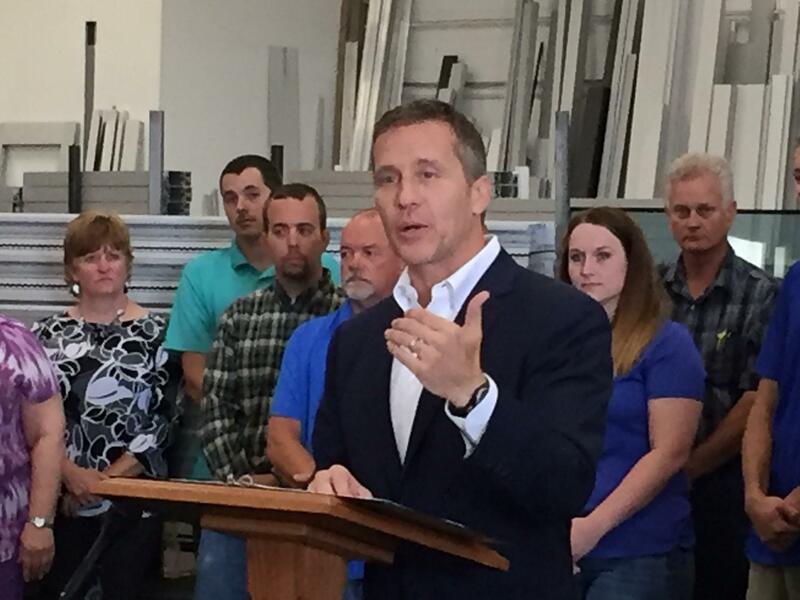 Eric Greitens has admitted to an affair before he ran for office in 2015. In a statement Friday issued by attorney Scott Simpson, the woman says the secret recording “betrayed her confidence” and that her husband “released the recording to the media without her consent.” The woman also says in the statement that she “consistently and continuously” asked reporters not to publish the account. “She is saddened that during this time of national introspection on the treatment of women in our society, allegations about her private life have been published without her permission,” the statement says. St. Louis TV station KMOV published a report not long after Wednesday’s State of the State address using the recording made by the woman’s ex-husband — neither of whom have been publicly identified — that said she had an affair with the governor and included allegations that the Republican took a photo of her while she was blindfolded and naked and threatened her not to speak of the relationship. The ex-husband's attorney, Al Watkins, told the Kansas City Star in an email that the man has “no intention of getting into a war of words with the mother of his children about betrayal." Several Republicans and Democrats had asked for an investigation into the allegations, and some Democrats have called on the governor to resign. The St. Louis Post-Dispatch reports that Greitens has called several Republicans to apologize.